With Vintage 2018 fast approaching there is a lot of activity in the vineyard and the winery. The vineyard is full of growth with good recent rains, and the first signs of summer with some nice warm to hot days in the past week. In the winery, we have purchased another egg to keep 'Roger' company. They make a nice pair. A few of you have asked about the Stone Well vineyard. the picture below covers most of the 15 acres, in the top left just above the poplars is the old Shiraz, Grenache and Mataro, bottom left Mataro, and middle next to the cellar door more old shiraz. Most of the old sections were planted around 1950. After a cold and moderately wet winter, vintage 2018 has begun with the first shoots appearing across all varietaries in the vineyard. The vines enjoyed a nice rest after the late finish to the 2017 vintage, with temperatures dropping as low as -8C in July. 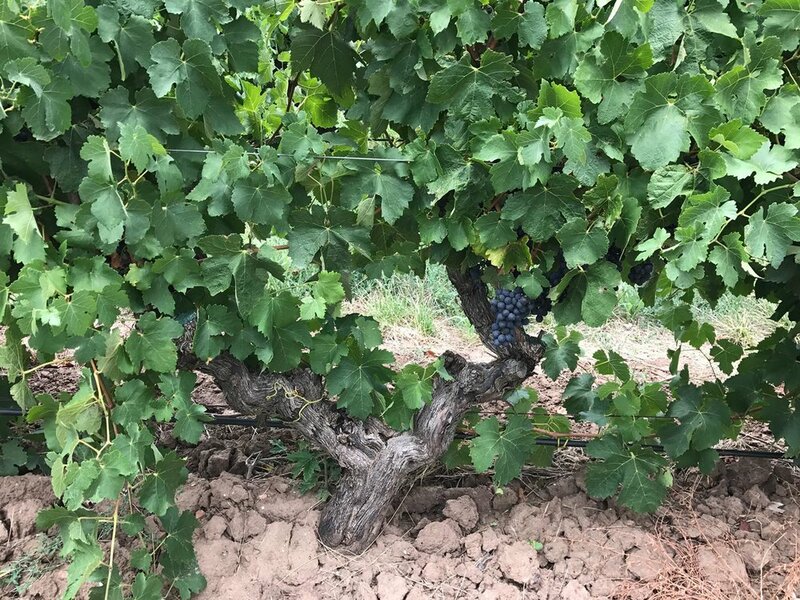 Most of the old vines seem to have made it safely through, although a few lost a limb (due to the dreaded Eutypa - see below) and one or two have not made it through to start the new vintage. But renewal has begun with a neighbour vine lending a cane to begin the cycle again. Winter is such a beautiful time to be in the Barossa, cool days and even cooler nights. The perfect time for the vines to close down and rest with their job done for another year. In vintage 2017 our vines produced wonderful grapes that I am confident will produce wonderful fragrant wines in the years to come. They deserve a break. But it is only a short break, our last grapes were picked on May 16, the first signs of growth for a new year expected in the Shiraz in early Spring. 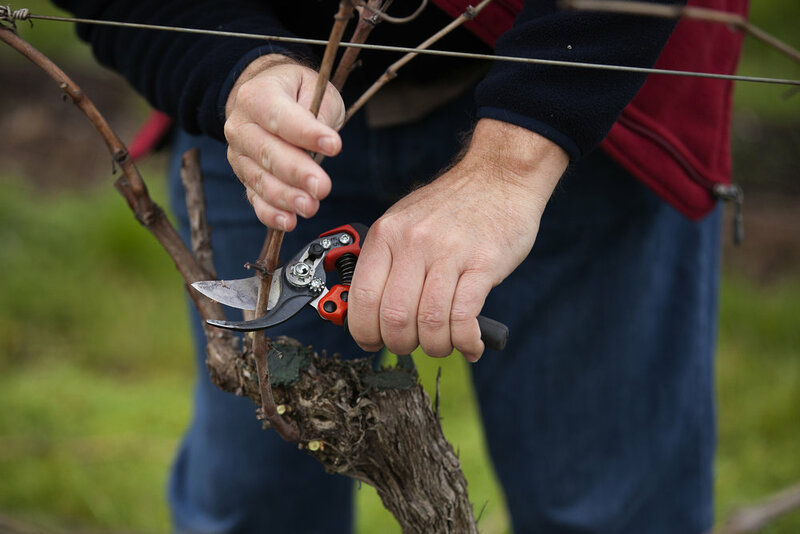 For the vineyard workers, it is a busy time as all the vines need a substantial haircut, removing the old canes and laying new canes, to give them a fresh start in September. For us, it is cold and wet but a beautiful time to be in the vineyard. And the nights around the wood fire with a port in hand just wonderful. Hayes Family Wines is thrilled to announce our recent success in the 2018 James Halliday Wine Companion. This year, Hayes Family Wines achieved an exceptional result with all 3 of the wines we entered scoring 94 points or higher. We also received the prestigious five star winery rating, an amazing accomplishment given this was the first time we submitted our wines for the Companion. Hayes Family Wines…brings together the Hayes, Seppelt and Schulz families, each bringing a contribution to the partnership. 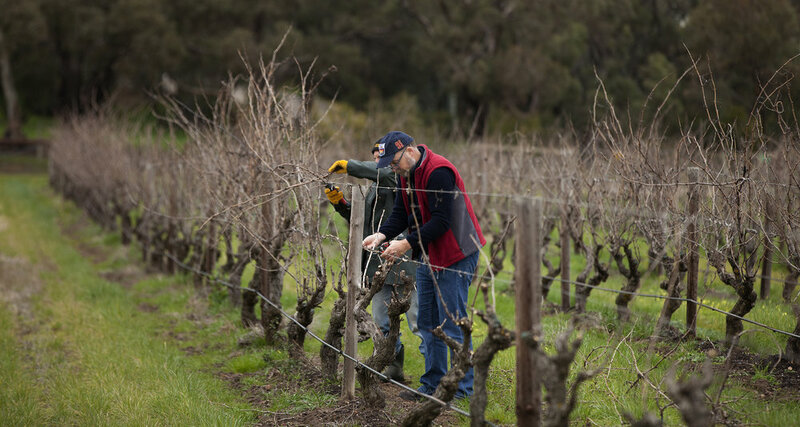 Andrew Seppelt has 20+ years of winemaking in the Barossa, Marcus Schulz has more than 50 years of grape growing in the northern Barossa, and Brett Hayes and family have 25+ years of agriculture and business experience. 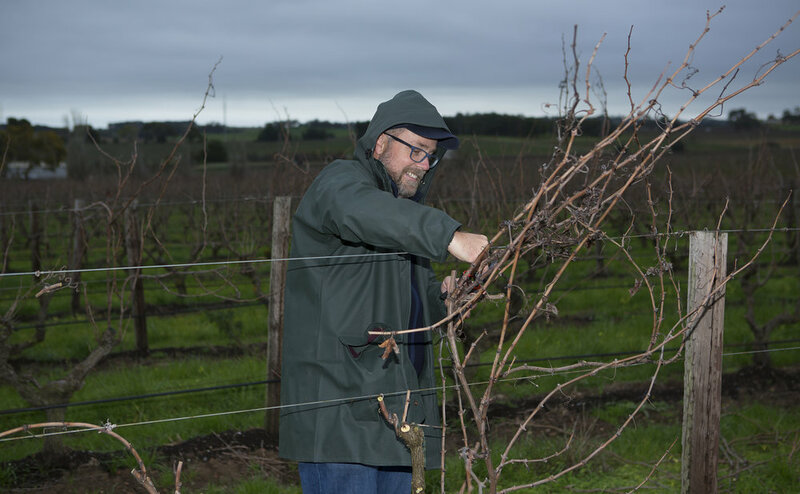 In late 2016 the business was expanded by the purchase of a 5ha old vineyard in the Stone Well district on the western ridge of the Barossa Valley. The business is off to a flying start with its '15 vintage wines. James awarded Hayes Family Wines a 5 star Winery rating, which is defined as ‘Outstanding winery capable of producing wines of very high quality, and did so this year. Also will usually have at least two wines rated at 95 points or above.' Only 204 Australian Wineries were designated 5 stars, or less than 8% of wineries. The ratings and tasting notes for the individual wines are listed below. We’d like to take this opportunity to thank all our customers for your continued support of small, family wine producers. Your loyalty helps us continue making the quality wines that we all love to drink. An 80/20% blend from the Ebenezer district. The colour is bright but light; a beautifully made wine that has the quality of fruit by picking at exactly the right time, and then keeping the oak where it should be. The flavours are of purple (plum) and blue fruits, the tannins fine and perfectly weighted. If owners look like their dogs, this looks like its elegant labels (front and back). Bottle no. 18 of 300. There's a laudable approach with all the Hayes Family wines of picking while there's fruit freshness and adequate acidity. This fragrant mataro has delicious red fruits and superfine tannins. 2017 Barossa Valley Grenache Winery of the Year! We are very excited to announce that Hayes Family Wines was awarded the “Barossa Valley Grenache Winery of the Year” at the recent Melbourne International Wine Competition. In addition, the Hayes Family Wines 2016 Grenache was awarded a Gold medal and the Hayes Family Wines 2015 Mataro Shiraz was awarded a Silver medal. We are very proud of these results, as more than 1100 wines from over 10 countries were entered in the Melbourne International Wine Competition. These awards are a testament to the dedication of the entire Hayes Family Wines team to producing the highest quality Barossa Valley wines. Due to the exceptional quality of our 2016 Grenache, it was extremely popular and we have already sold out of this wine. Our 2017 Grenache is developing nicely, and we look forward to releasing new wines over the coming months, including a Grenache Rosé, a traditional oak barrel matured Grenache and our first Grenache matured in a ceramic egg. The egg is an alternative to our traditional oak barrel maturation, and should produce a finer style of Grenache. We look forward to seeing all three wines in the near future. We do still have availability of our 2015 Mataro Shiraz, which was awarded a Silver medal, as well as our 2015 Shiraz and 2015 Mataro. These wines can be purchased online through the Buy Online tab above. We’d like to take this opportunity to thank all our customers for your continued support of small, family wine producers. Your loyalty helps us continue making the quality wines that we all love to drink. Late in the season, on the 16th of May to be precise, we brought in our final lot, a very small patch of old Grenache, we could not resist, and as a result the season has been extended by another 2 weeks. Andrew assures me that we will be done by the end of May. Still too early to know how this specific batch of Grenache will turn out as a red wine, but we did take the opportunity to make what will become 300 bottles of Grenache Rose. Andrew loves his rose. Earlier in his winemaking career he spent time in the South of France making rose. I can be a little partial to it in the warmth of summer, so we decided to go ahead with what will be a very traditional 'French style', 12 hours on skins, short warm ferment to full dryness in a barrel with the head knocked out before being returned to an older barrel for a few months. Look out for it in the 2017 Spring. Last of 2017 Vintage Fruit is in! With the great relief for both the vineyard and winery teams the last of the 2017 fruit arrived at the winery yesterday morning. For Marcus, Ros, Brett this brings and end to what has been a superb 2017 vintage, great quality and very good quantities. For Andrew and the winery team, the end of vintage is also drawing near, with perhaps 1 week to go before the 2017 Grenache and Mataro find there way into the resting barrel, or in the case of the Grenache, a resting egg, for the winter months ahead. For those that have not seen our yet to be named ceramic egg (we are open to suggestions), there is a picture below. Our egg is about 5 feet high, made of ceramic and will be home to our recently picked Grenache. At this stage the plan is to leave the wine on skins for 2-3 months, in a vacuum for the natural yeasts to do there thing. It will then be taken off skins before returning to the egg for a yet to be determined period. Andrew's little baby is just starting what will hopefully be a long and successful life. We have just bottled the first of the 2016 Vintage reds, the GMS (Grenache Mataro Shiraz blend), Greenock Grenache and Ebenezer Mataro. As expected, they look truly fantastic, each bring the richness of the wonderful 2016 vintage in the Northern Barossa. We also bottled (by hand) the large format (3l and 6l) of 2015 Shiraz, so for those that ordered (they will be dispatched in two weeks) or, if you would like to order some of these special bottles please let me know. With picking well progressed, attention has moved to the winery. The first grapes picked (the old shiraz from home and Grennock), are now resting in barrel having been picked, crushed, pressed and rested before moving into French oak of varying coopers and ages. The Ebenezer Shiraz was picked last Monday, and the Grenache from Greenock and Mataro from Ebenezer are expected to be picked in the next 2 or maybe 3 weeks. All and all, the wine gods have been friendly to us this year, lets hope that continues for another 3 weeks until we are all done. Today, we picked the field blend with Mum and Dad. 320kgs from the home vineyard. The field blend will eventually be bottled as a vineyard block blend of Grenache, Shiraz and Mataro. 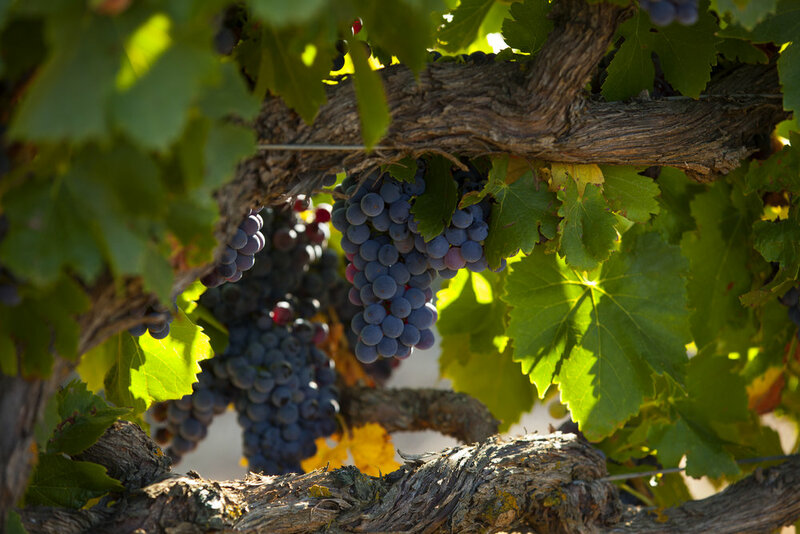 Essentially, a field blend requires more than one grape variety planted together in the same vineyard. All the grapes are picked at the same time and fermented together—a true field blend doesn't separate by variety at picking; the "blend" is whatever the vineyard provides in that given vintage. Modern winemakers generally prefer to plant and pick each variety separately, knowing that they don't always ripen evenly. Sometimes a winemaker will ferment multiple grapes together (a practice called co-fermentation), which invokes the spirit of field blends. But most winemakers blend different lots of wine together after the fermentation is finished to better control the process. Vintage conditions this year gave us a rare opportunity to pick all 3 varieties (Grenache, Shiraz and Mataro) in a particular vineyard block together. They will be co-fermented before filling a single second use French oak barrel. Look out for the wine in 12 months time, it should be something special, and may be a while before the opportunity presents itself again. After a nervous wait, vintage 2017 has begun with our old vine shiraz in Stone Well picked on Wednesday morning, and the Greenock Shiraz picked Wednesday night. Both sets of grapes have now resting in the fermenters where they will spend the next week. The fruit looks fantastic at this stage, deep in colour, vibrant fruit flavours coming from the small berries (quiet unusual for the year). We have more shiraz to come in this week, with the Grenache and Mataro probably a few weeks off. The weather remains ideal, days are warm, nights relatively cool with no rain forecast at this stage. The pre vintage trip that turned out to be a little different than expected. I was expecting extreme heat, but the weather was stunning on my arrival, mid 20s (after 40 the day prior). The mild summer continues. The vines are in perfect condition, great canopy with good water retention. Some minor stress in the Grenache and Mataro, but that is probably what we need at this stage. Vintage is probably running 4 weeks behind 2016, perhaps a return to the norm, the first of the shiraz is probably due mid March assuming no major weather change. I suspect we will be still picking the Shiraz into late March and run through to the last Mataro in late April. Vintage does look good though, so cross your fingers it stays that way. I had another formal taste of the 2016 wines in barrel with Andrew and a few others, they look extremely good. We will be bottling the 2016 Mataro, Grenache and blends in March, the Shiraz and Mataro Shiraz still in need of a long rest. Will revisit later in the year. The weather in South Australia, and the Barossa in particular, has continued to behave itself - cool nights, warm days. Across the valley, the whites have in most cases been picked with the first of the red varieties well under way. For us in Ebenezer, Greenock and Stone Well, vintage draws nearer and we would expect that we will commence picking sometime next week - initially with the Greenock Shiraz, followed by Stonewell and Ebenezer, and then the Grenache and the Mataro well into April. The fruit looks in great shape as the picture below highlights.